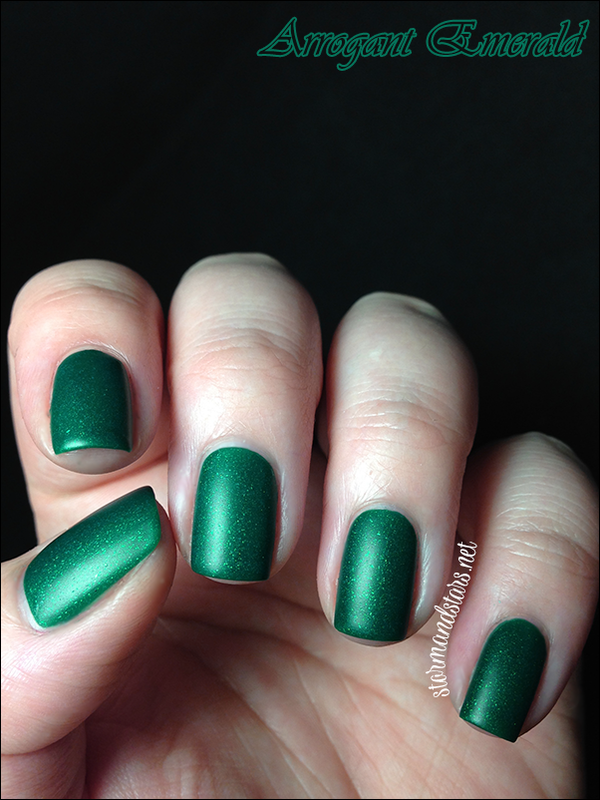 I have another review for you today of some more Jaded Nail Co lacquers. I've been looking forward to these since Cara mentioned them to me a while back and I was not disappointed! This collection is made up of five jewel toned matte lacquers and they are stunning! Lets get right into it. First up is the absolutely lovely Sassy Sapphire. Sassy Sapphire is a bold royal blue lacquer loaded with flakie shimmer. It finishes with a waxy matte sheen. I absolutely love this shade. I'm a sucker for blue and this one is fabulous. 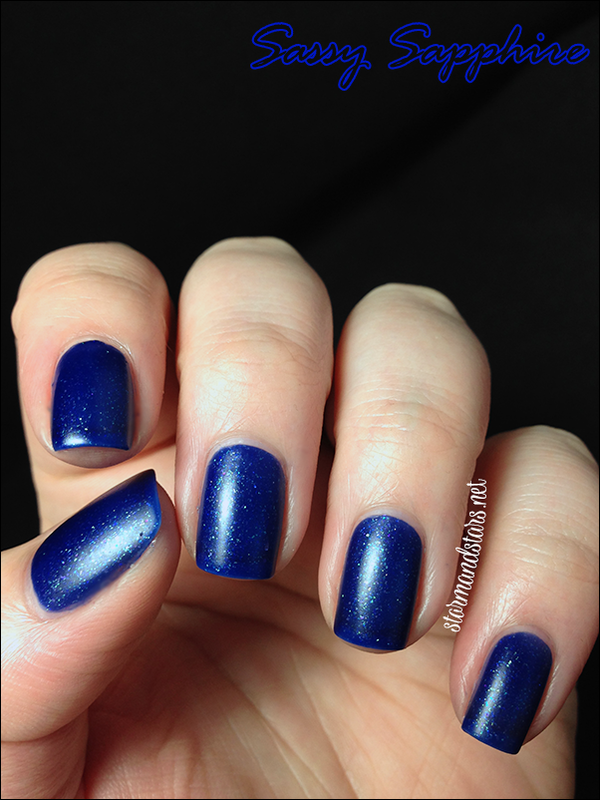 I used two coats of Sassy Sapphire with not topcoat for these swatches. The formula was on the thin side, but wasn't hard to work with and I had minimal cleanup. I added a coat of shiny topcoat for the below photo so you can see what it looks like shiny. 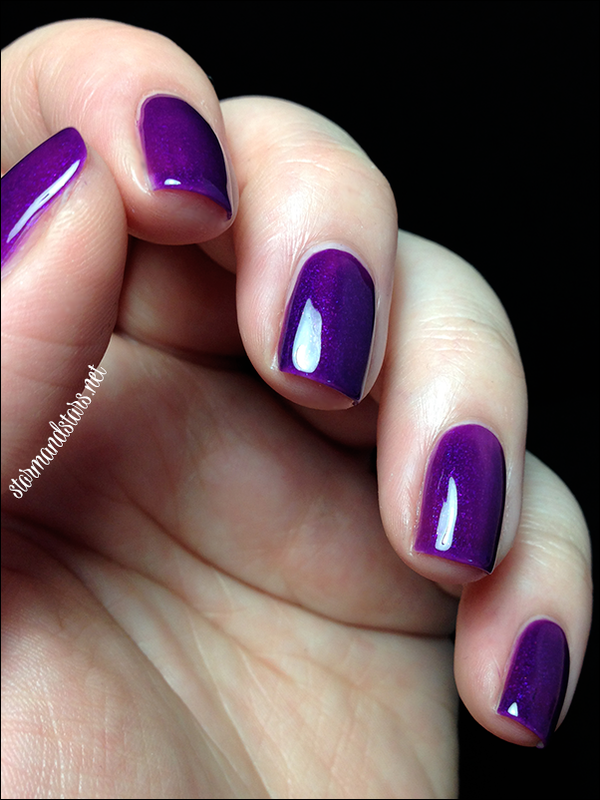 The topcoat really transforms these shades into something new and that makes them even more versatile. 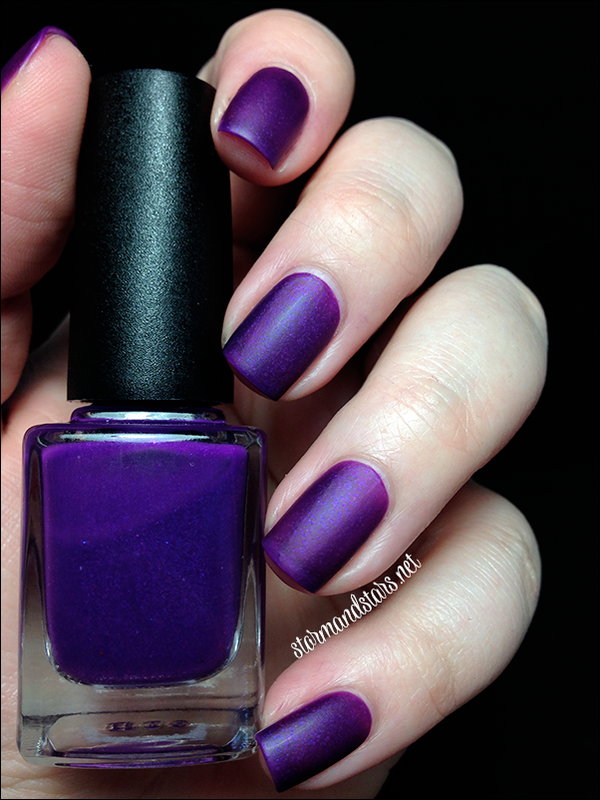 I love this lacquer both ways. 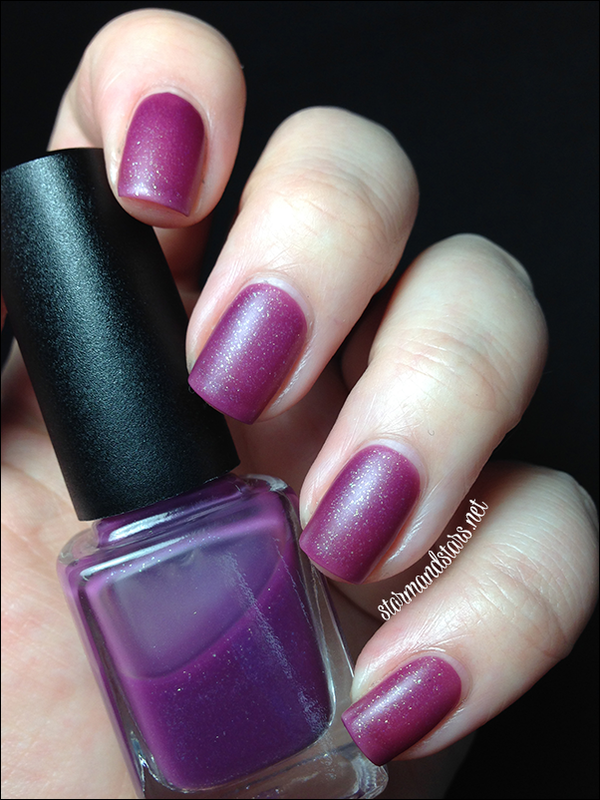 Philistine Pezzottaite is a mauve lacquer packed with silvery flakie goodness. 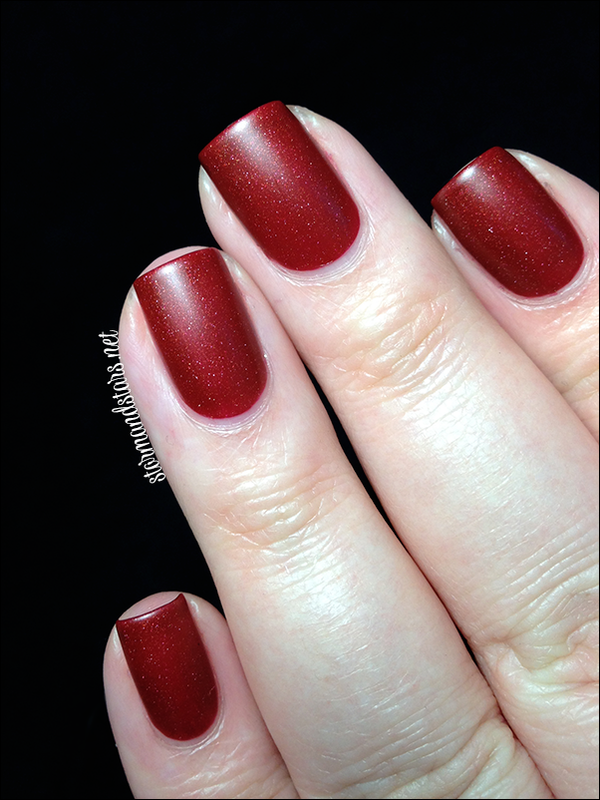 It dries with a perfectly smooth matte finish that is really gorgeous. 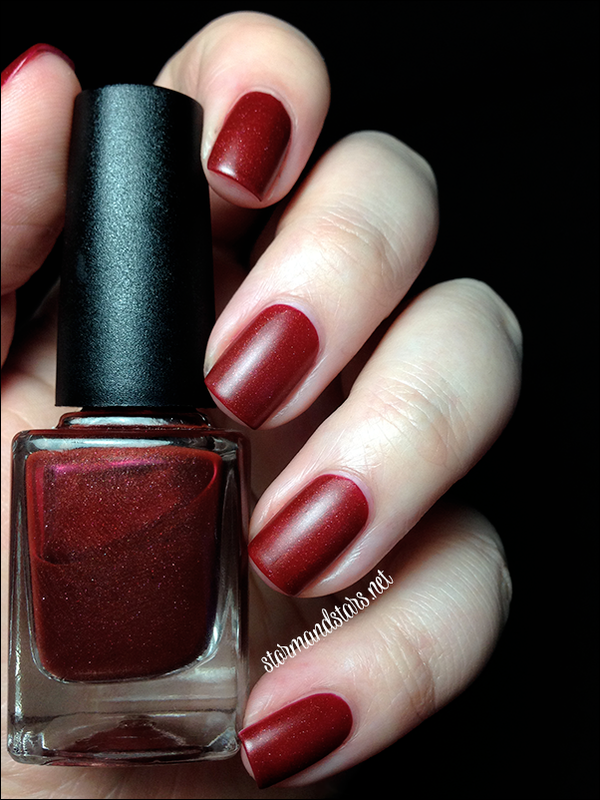 I used three coats of this lacquer for these photos. I found the formula to be sheer, but not overly so and it painted on easily. Shown is the lacquer without topcoat. 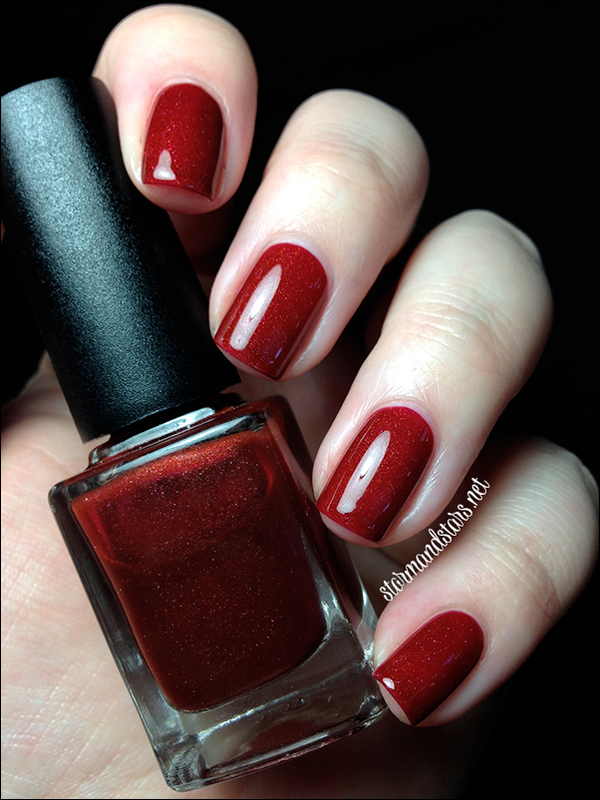 This is the first of the collection that I swatched and I didn't think to add topcoat for some photos. I do hope to fix that and add a couple shiny photos soon. Overall I am really happy with this color. The shade is perfect for my skin and I can see myself wearing it a lot! Next up is an absolute stunner. Here is Arrogant Emerald. 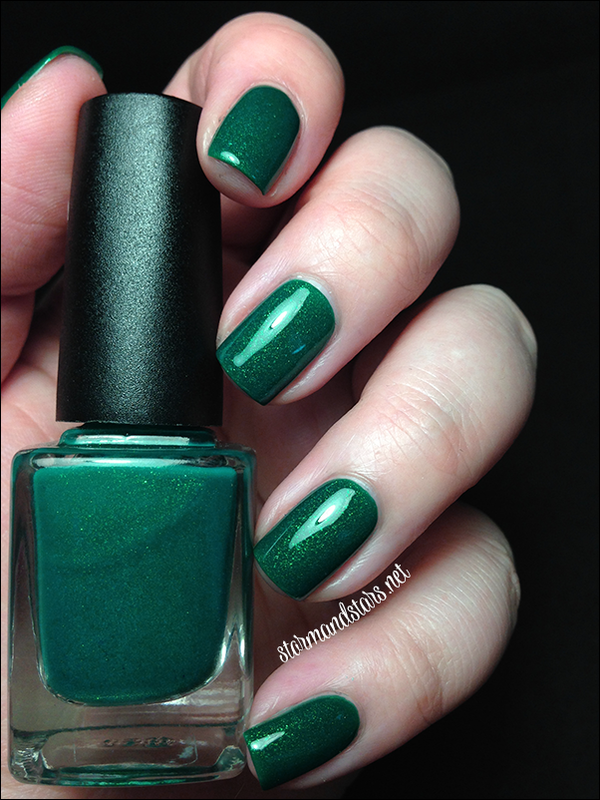 Arrogant Emerald is an emerald green lacquer with lots of shimmer. It dries to a smooth fully matte finish. How stinkin' beautiful?! 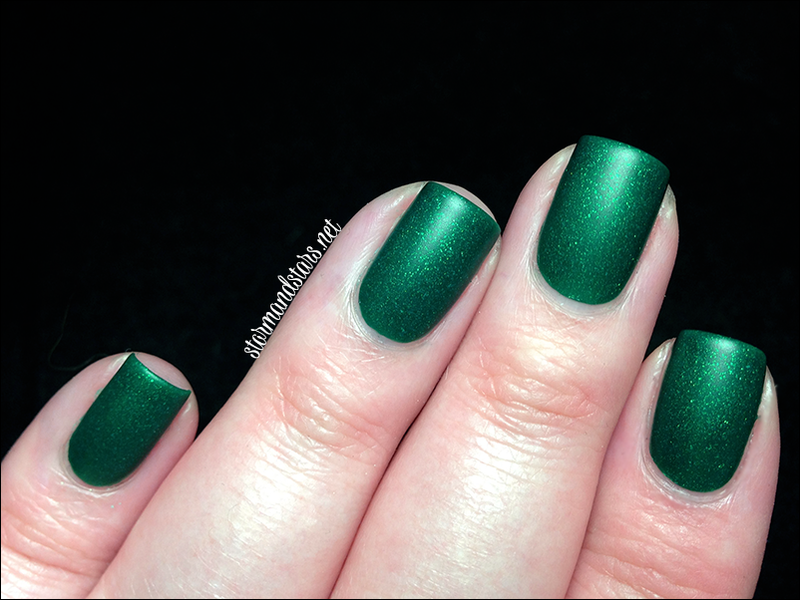 I used two flawless coats of Arrogant Emerald with no topcoat for these photos. The formula was fantastic. I did add topcoat for a couple photos, which are below. Its crazy how much a simple coat of topcoat changes the look of a polish so much. 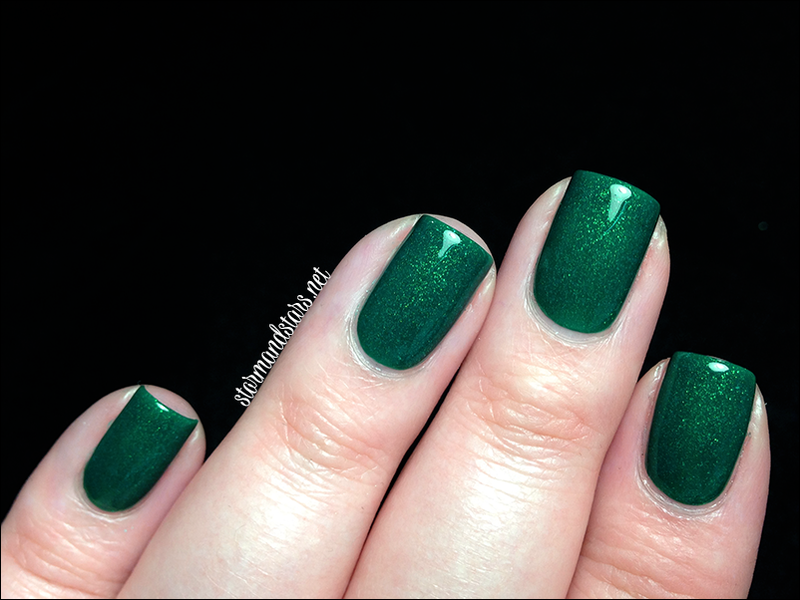 Arrogant Emerald has so much depth this way. I truly love it with both finishes. Next up for you I have Asinine Amethyst. Asinine Amethyst is a great deep purple with a matte finish. 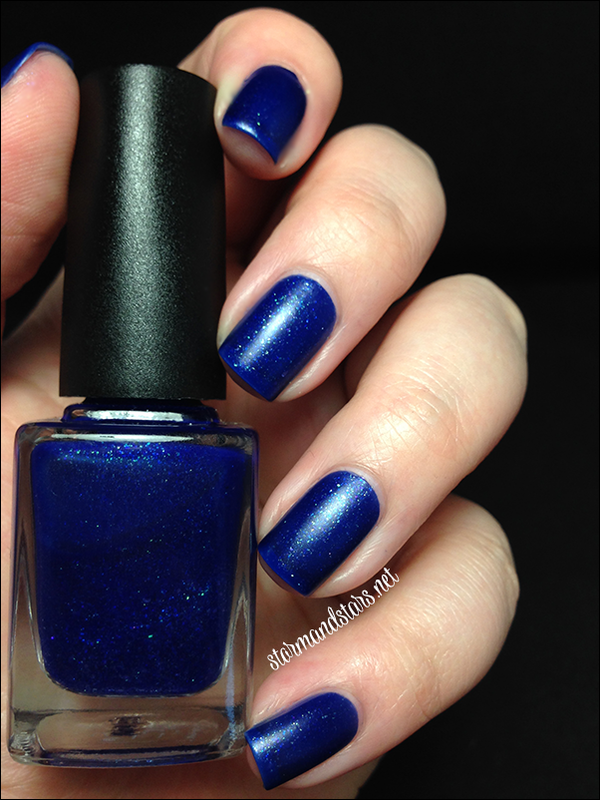 This lacquer definitely screams royal. 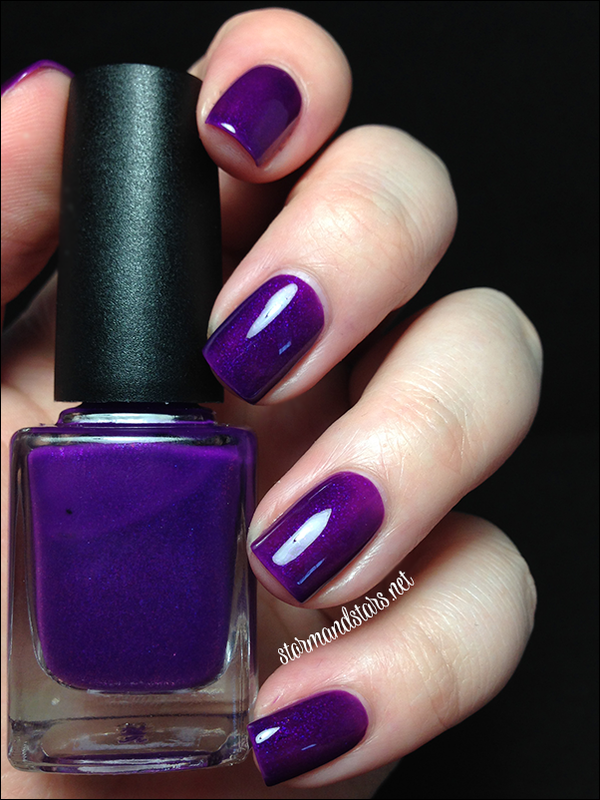 I used two coats of Asinine Amethyst with no top coat for these swatches. I found the formula a bit thin and I think when I wear it again I will probably use three coats. 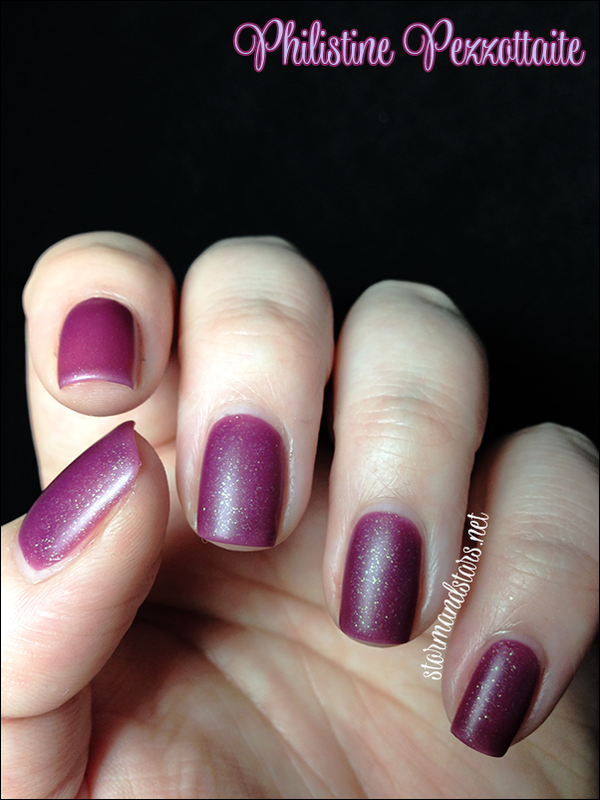 I also took a couple photos with topcoat and it is almost like a different lacquer. 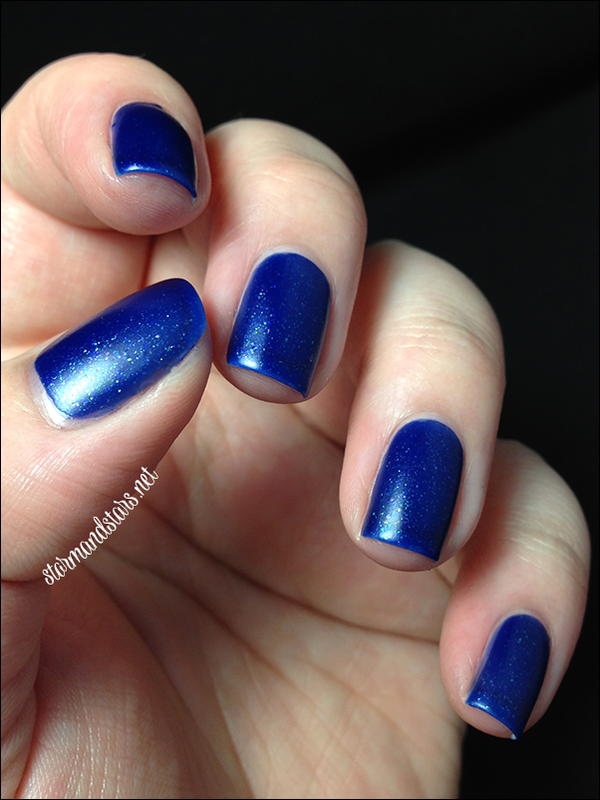 The shine bring out some silvery pink flakie shimmer and a blue shimmer as well. It is really special looking. I love the color of this polish (of course) and the depth she managed to create is fabulous. Last up from this collection is the polish that started out as my least favorite in the bottle and ended up being my favorite on the nail. Meet Rough Ruby. Look at all that silver shimmer! 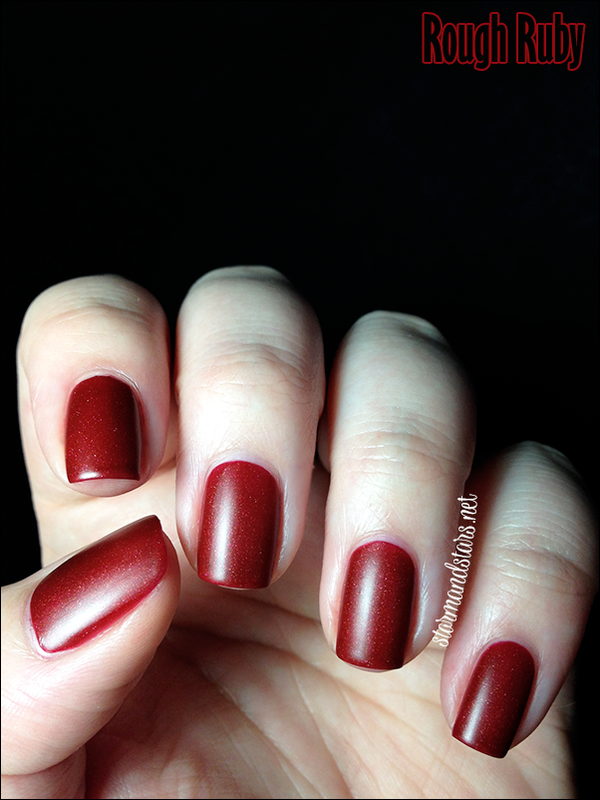 I used two coats of Rough Ruby with no topcoat for the swatches. The formula was great. Just look at how perfect it is! I really love how a polish can transform on the nail and become something you never thought it could. I absolutely love this collection. I think it was well thought out and cohesive. 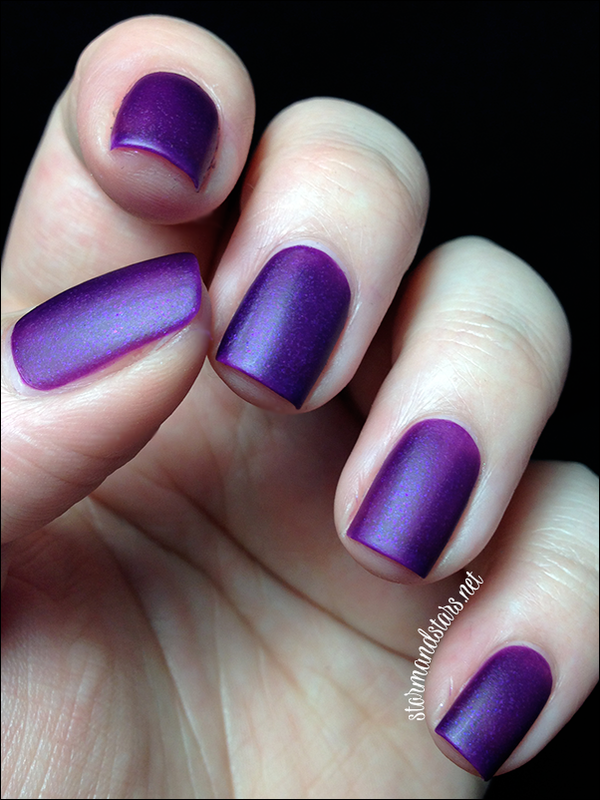 The colors and finishes are perfect alone and together and they look great both matte and shiny. I really couldn't ask for more. The Unpolished Matte Collection is available for preorder on the Jaded Nail Co. site right now. Please head over to this LINK for more info on the collection. Don't forget to follow Jaded Nail Co. and Cara on social media for more news and info!